Must-have subscription I can't do without! I've been an SCO member for over three years and it has been so helpful to me in learning how to make full use of my apple products and services. Don McAlister is informative and educational and entertaining. The use of video demonstrations really clears up any questions I may have about how to use my devices or whether a new app is right for me, and helps me solve most any problem I have understanding the techy side of installation or operations. He is quite thorough in explaining many aspects of any given subject and I thoroughly enjoy the product reviews. 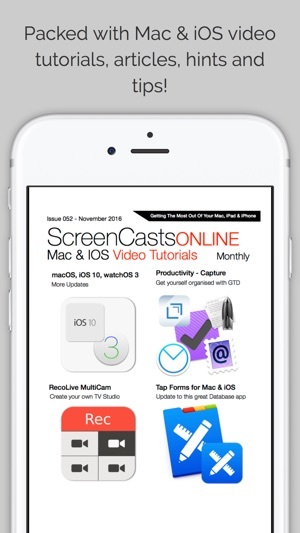 I can highly recommend Screencastsonline app and magazine subscriptions. You will be extremely satisfied as well and won't believe how you got along without it! Best tech magazine in the store! 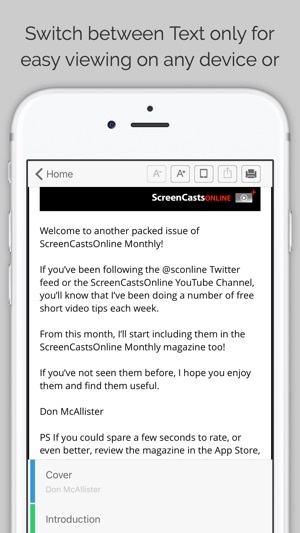 I love the Screencast On-Line Magazine. 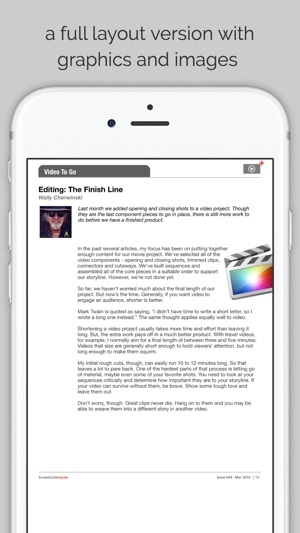 It is full of good advice and information regarding software and hardware on any Apple device you have. 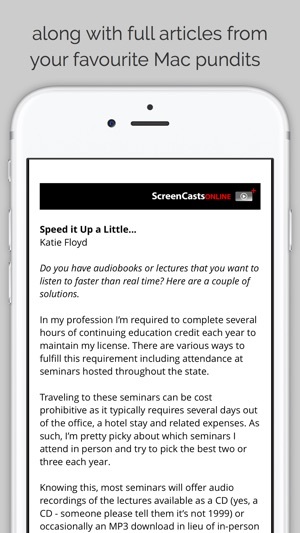 The screencasts are professionally done but the presenters do not talk above the audience. I love being able to watch a segment and then be able to try it out on my own. The advantage of the magazine is its print articles. These are easy to read quickly and are quite informative. Because of the digital set-up you can easily skip to what interests. Many of the print articles are of a more general nature and of interest to anyone who wants to learn more about technology. Thank you s go to Don and his fabulous team for making a wonderful resource that I look forward to monthly. I’ve been a subscriber to these tutorials and these monthly e-magazines for years. I find them extremely informative, easy to follow, and they have helped me so much! Anyone owning Apple products would be well advised to at least try the free trial. 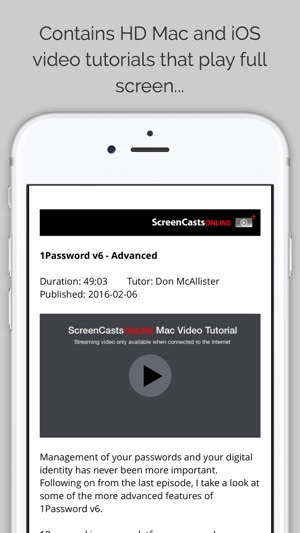 The screencasts are professional and base level to assure everyone can understand them. I’ll be honest, there are some, just a few subjects that I am not “into” and don’t have any interest in. I just skip them. But 95% of the others are watched, and rewatched, on a regular basis. Couldn’t be happier.